I've always wondered why Gmail doesn't sort search results by relevance, just like Google Search. 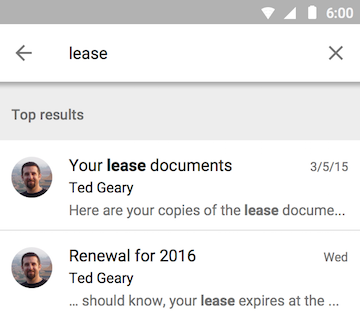 Gmail sorts results by date, so you can quickly find recent messages that match your query, and that's pretty useful, but sometimes you want to find an old email from a friend or a long-forgotten conversation about modern architecture. 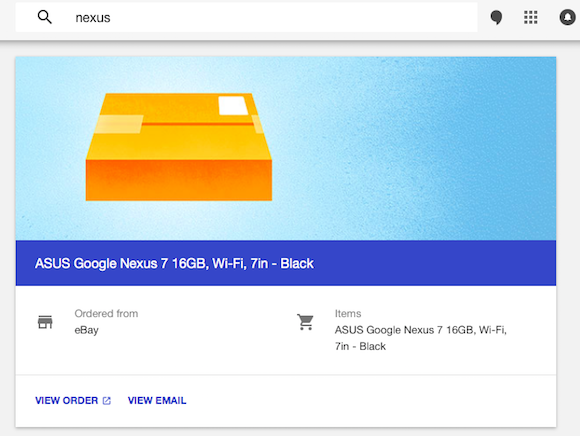 Now Inbox search works a lot like Google Search. Google autocompletes your query and shows results as you type. There's also a "top results" section that shows the most relevant 5 results for your query. It's not perfect and it's easy to see why this doesn't replace the standard "sort by date": ranking email conversations is harder than ranking web pages. There are no links between messages, many messages are pretty short and are only important for a short while. In addition to top results, Inbox also shows quick answers extracted from your messages. 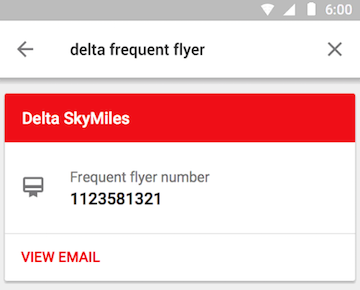 "Now when you're searching for a frequent flyer number or shipping status, Inbox will show it at the top of search results – no more digging through individual emails to find what you're looking for." Back in 2014, I found a way to loop YouTube videos using a feature of the HTML5 player. 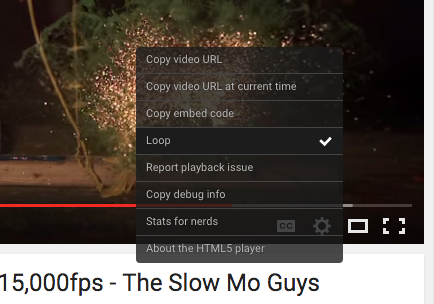 It looks like YouTube added "loop" as a standard feature. Just right click inside the HTML5 player and click "loop". This way, you can watch a video on repeat until you pause it or uncheck "loop" from the contextual menu. 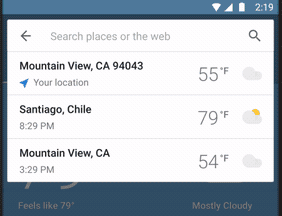 When the latest version of Google Contacts launched last year, many features were missing. It looks like one of these features is back: you can now import contacts without switching to the old UI. 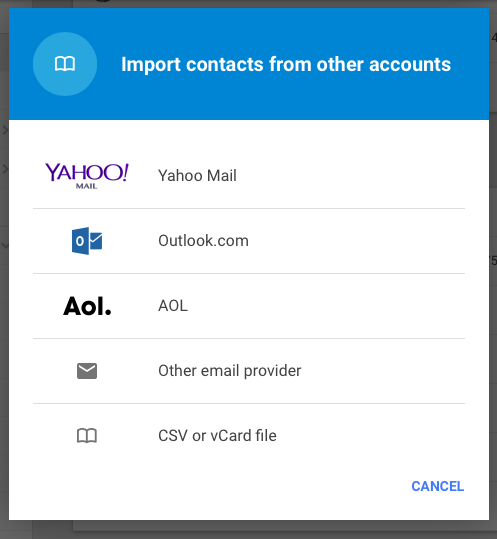 You can import contacts from Yahoo Mail, Outlook.com, AOL or from other email providers. If you want to import contacts from a CSV/vCard file, you'll still have to switch to the old interface. 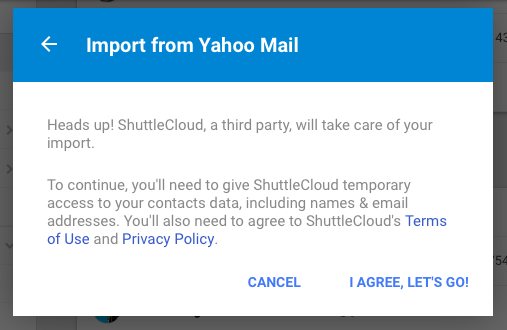 Google uses a third-party service called ShuttleCloud for importing contacts. "To continue, you'll need to give ShuttleCloud temporary access to your contacts data, including names and email addresses," informs Google. Another missing feature was restoring contacts. 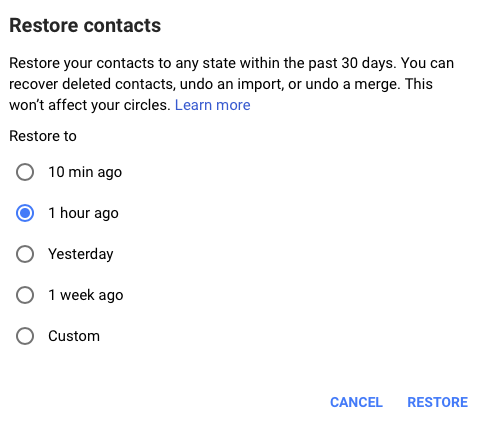 You can now "restore your contacts to any state within the past 30 days, recover deleted contacts, undo an import, or undo a merge." Exporting contacts and printing contacts still require to go back to the old UI. 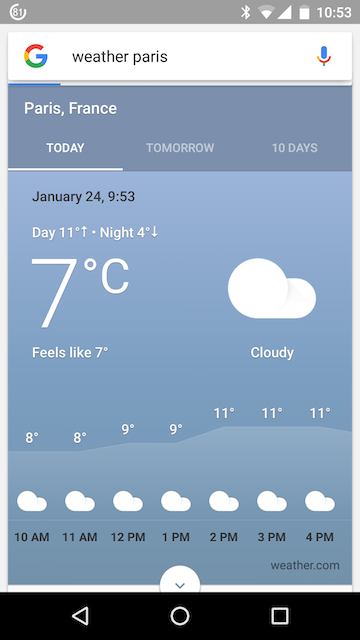 Google redesigned the weather card to include more information and images. 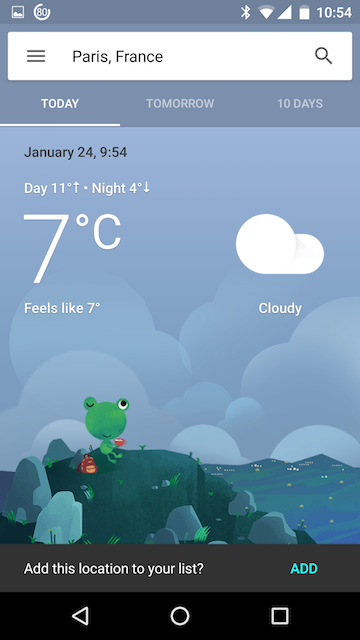 The new weather card is only available in the Google Search app for Android, at least for now. "When you search for 'weather' or ask Google, 'will it rain today?' 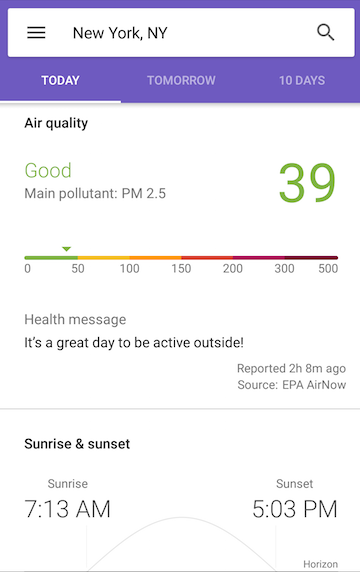 in the Google app on your Android phone, you'll get a wealth of new information, including: hourly sky conditions and chance of rain, severe weather alerts, a detailed 10-day forecast, air quality, UV index, sunrise and sunset times, and more," informs Google. Google's new UI has 3 tabs for "today", "tomorrow" and "10 days". 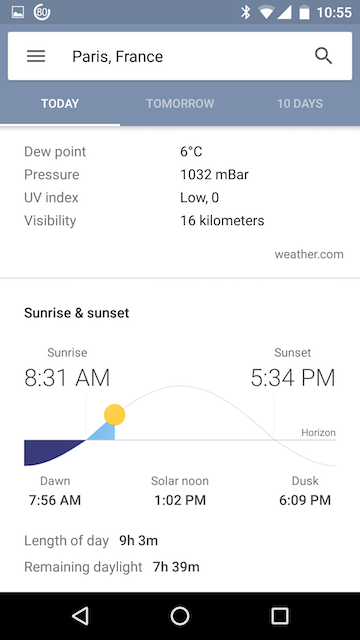 There's also a "humidity, wind, sunrise, and more details" link at the bottom of the card which allows you to expand it. You can also tap anywhere inside the card. 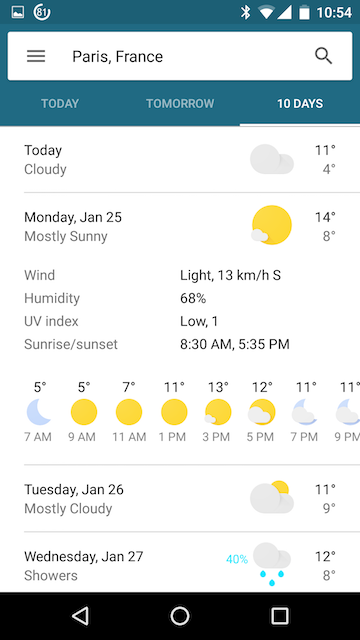 Google added an option to add a location to the weather list. 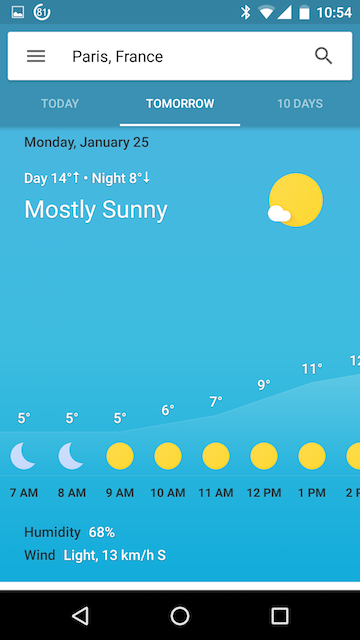 This way, you can search for "weather" and see a list of all the locations you've added and the corresponding weather information. The search bar is now optimized for finding locations, so it's easier and faster to switch to a different city. The "today" tab now includes information about sunrise, sunset, solar noon, length of the day, remaining daylight, dawn, dusk, dew point, pressure, UV index and visibility. 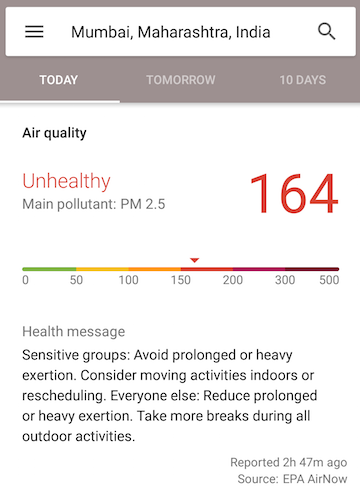 For some cities in the US, Japan, South Korea, India and other countries, you can find air quality information and health messages like "it's a great today to be active outside" or "avoid prolonged or heavy exertion". The source is EPA AirNow. 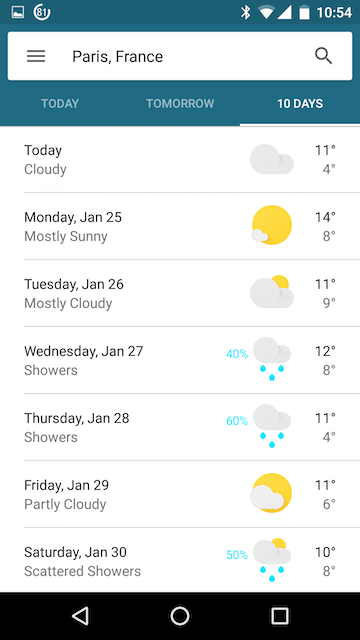 The "10 day" shows weather forecast for today and the following 9 days. Tap a day to find more details, including hourly weather forecast, wind, humidity, UV index, sunrise and sunset. 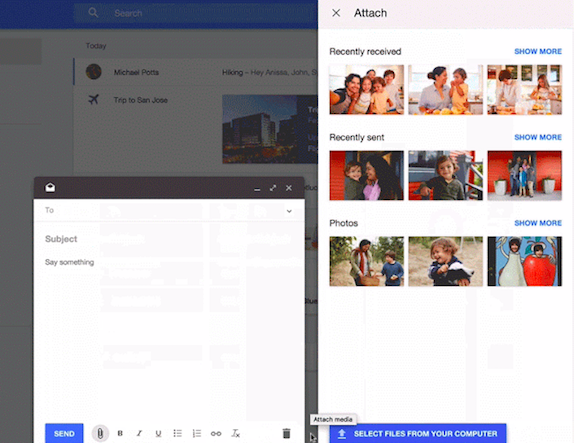 Google Inbox has a new attachment picker. When you compose a new message and click the paperclip icon, Google now shows a list of recently received attachments, a list of recently sent attachments and the latest photos uploaded to Google Photos. Click "show more" to see the rest of the attachments and photos. You can also select files from your computer. Unfortunately, there's no Google Drive integration yet. "Inbox by Gmail on the web now makes it easier to share memories with instant access to recent photos and attachments," informs Google.